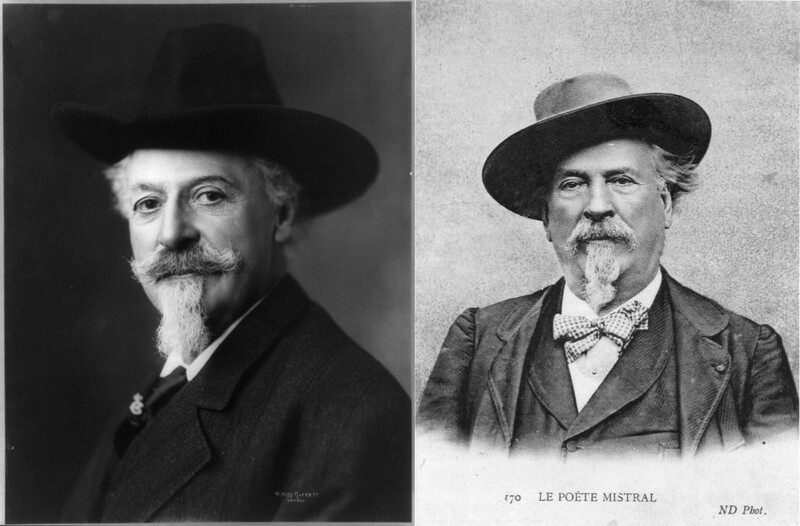 Same longish hair, same moustache and goatee, Old West hero Buffalo Bill (left) and Nobel Prize laureate Frédéric Mistral (right) were almost lookalikes. On a winter day in 1905 the great Provençal poet and philologist Frédéric Mistral received a most unlikely visit. Standing on the doorstep of the family farm, in Maillane, near Arles, was a man about his age who looked strangely like him—same longish hair, same moustache and goatee, same wide-brimmed hat—but who came from a very different world. The man's name was William Cody, better known by his nom de guerre Buffalo Bill. Both men were legends in their own right; the American as the famed bison hunter, Pony Express rider and US Cavalry scout turned travelling show entrepreneur; the Frenchman, or rather the Provençal, as the 1904 Nobel Prize laureate, a man who had devoted his life to reviving the language, culture and traditions of his native Provence. How the two came to meet is part history, part legend. "What we know for certain," says the curator of the Mistral Museum in Maillane, "is that Frédéric Mistral attended Buffalo Bill's Wild West show which was touring southern France at the time. Both men being very famous, it is likely they were introduced to each other." 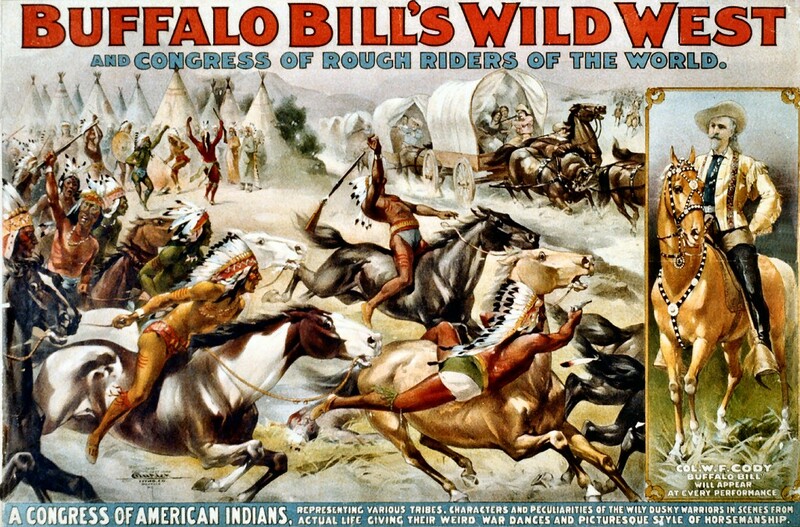 Buffalo Bill's Wild West Show toured the south of France in 1889 and 1905. Despite their different background, Mistral and Cody certainly felt a kinship. Through different means, they were both trying to salvage a fast disappearing culture. Cody had turned the waning Old West into a travelling show of staggering proportion; Mistral had revived the Provençal language in order to celebrate the rich civilization of rural Provence. Both had contributed to transforming reality into a myth that would survive them. On leaving Frédéric Mistral, Buffalo Bill left him a present: a little dog that the poet named "Pan Pardu," Provençal for "French toast." Or, in another version of the story, the little dog escaped from the Wild West Show at the Tarascon train station and wandered the roads until it found itself in Frédéric Mistral's backyard. The poet's goatee, moustache, longish hair and wide-brimmed hat had fooled him—the little dog thought he had at last found its master. Pan Pardu was not the only one the Wild West Show left behind: seven Indians, from the Lakota and Oglala tribes, decided to stay and settle in Marseille. In his 2000 novel "The Heartsong of Charging Elk," American author James Welch tells the romanticized story of one of them, who found himself in a Marseille hospital long after the travelling show had left having to adapt to a world so different from his native Black Hills. Like Frédéric Mistral and Buffalo Bill's story, the novel is based on history as much as it feeds on legend.